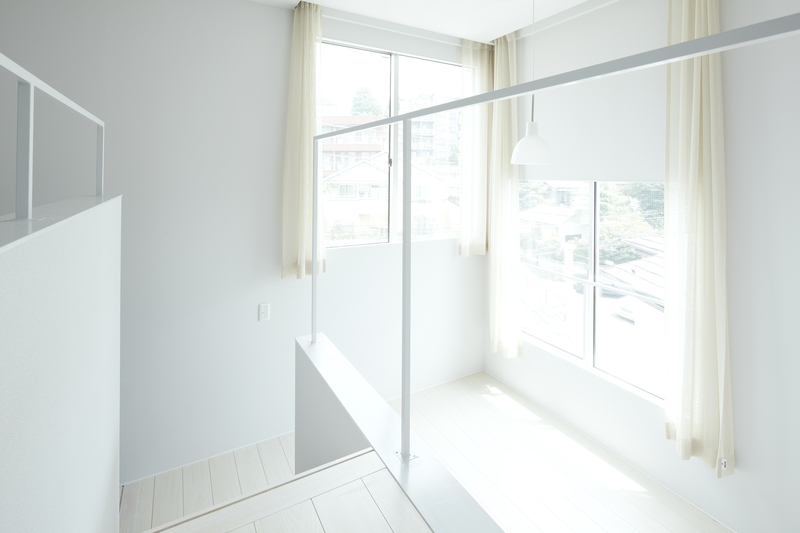 After Building K was completed, I spent some time inside the building and found that very pleasant air flows were generated when I opened the small floor-height inspection window for the mechanical duct shaft and the high window at the same time. 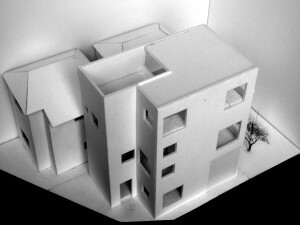 This finding inspired me to design a house focusing on air flows. 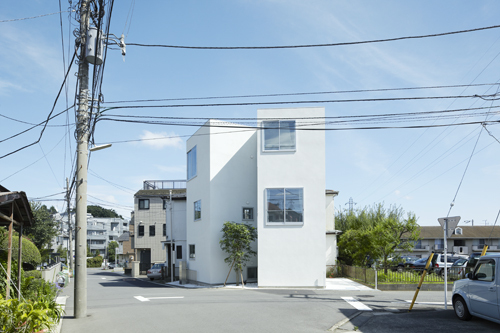 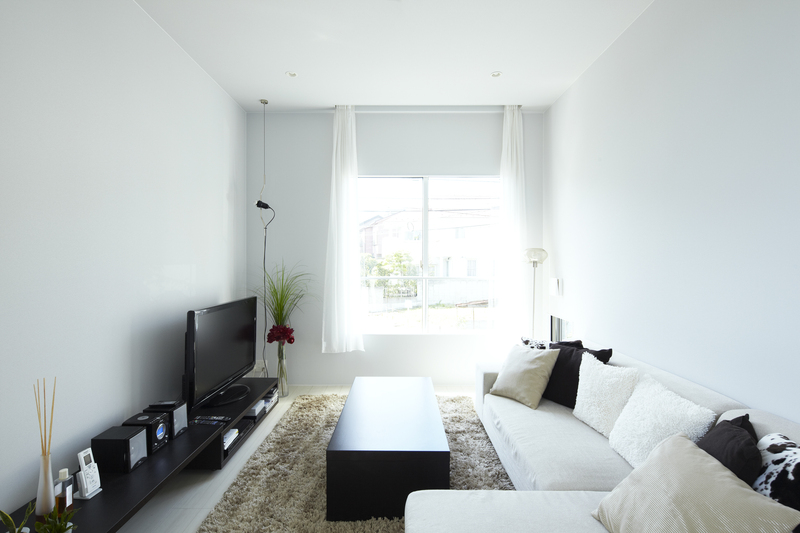 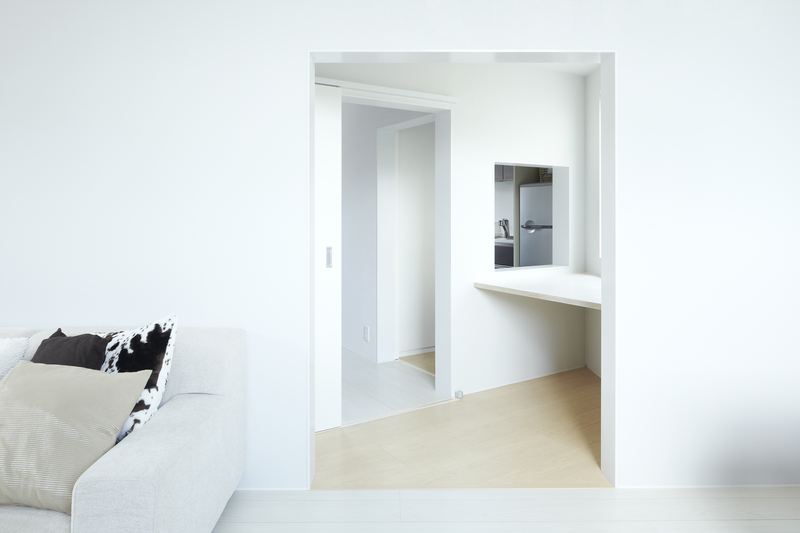 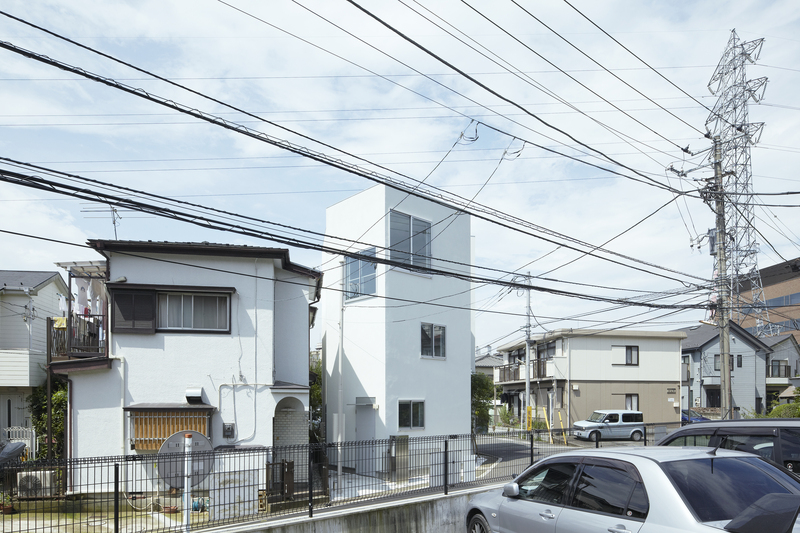 We were commissioned to design a house on a corner site in the suburb of Tokyo, where two roads on the north and east sides intersect at a 120-degree angle. Our design started from placing a large volume deformed to match the site confi guration. Then we divided the volume in two and were positioned in parallel with the respective roads. 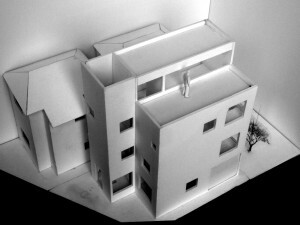 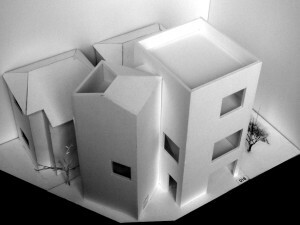 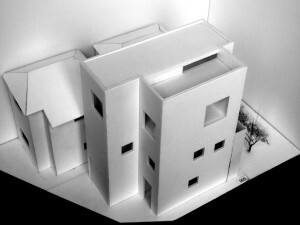 The early model was a combination of a larger volume and a smaller volume, but gradually adjusted it to eliminate the impression of hierarchical relationship between the “main” and “sub” volumes and we ended up with a model comprising a combination of two pencil buildings. 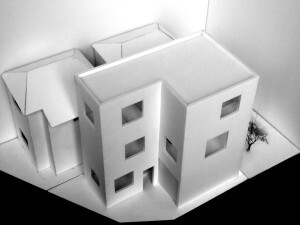 It was rather a strange “fiction” to design a house as a set of “pencil buildings.” In retrospect, what we presumed at the beginning did not set a direction of design, but what we conceived along the way became a driving force in the latter half of the design process. 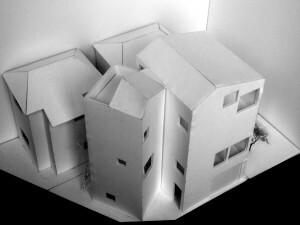 We started with a model of a simple box-shaped volume and then experimentally placed a gable roof on top to make it look like a house, which turned out to be awkward. 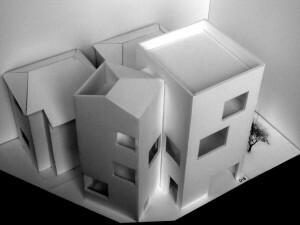 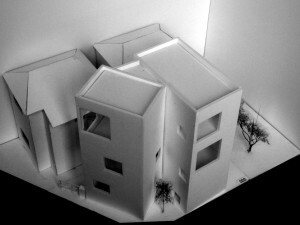 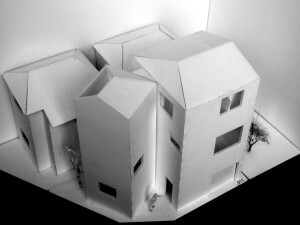 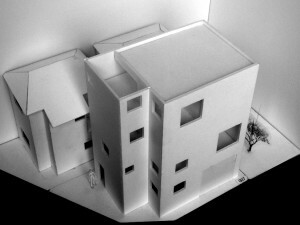 In the end, we came up with a form that looks as if two “pencil buildings” collided. This form harmonizes with the streetscape of the residential area and also effectively generates air flows coinciding with the building orientation.